Lives that were touched by Jesus, but given no name, are the focus of this 10-session study on the power of God's influence on each life. 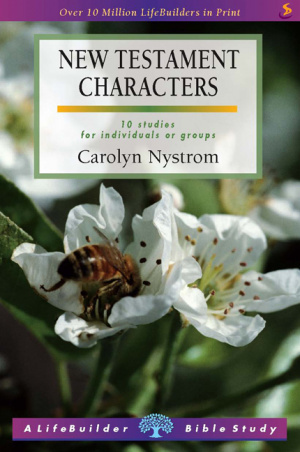 Lifebuilder Bible Study: New Testament Characters by Carolyn Nystrom was published by IVP in September 2003 and is our 3458th best seller. The ISBN for Lifebuilder Bible Study: New Testament Characters is 9781844270118. Be the first to review Lifebuilder Bible Study: New Testament Characters! Got a question? No problem! Just click here to ask us about Lifebuilder Bible Study: New Testament Characters.